Australia produced several types of machetes during the war. The British Bolo pattern with plastic handle and known as Machet 15" is the most commonly found. 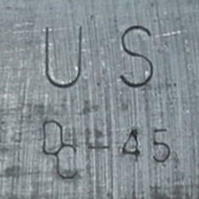 Australian manufacturers produced the M1942 US pattern machetes for the US as well. These machetes are not often seen in Australia. The machete most commonly used by the Australian Army during WW2 were the (British) Bolo style of machete. This Machete is by Gregory Steel Products, Melbourne and is complete with the original scabbard. Marsden also produced a wooden gripped, Bolo style machete. This Machete is by Scott Trojan & Sons, Victoria. It is 20 1/4" overall length with a blade 14 3/8" long. It has wooden handles. It is not dated and I have no information when they went in to service, or over what period. 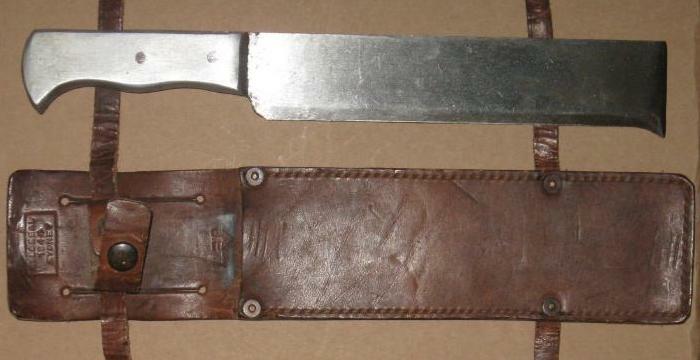 Whittingslowe Engineering also manufactured a Bolo pattern machete with a wooden handle. This machete is marked D /I\ D above DC 45. Examples are also found with 44. This is believed to be the year of manufacture. My research has led me to believe that the manufacturer of these machetes marked DC was Die Casters Pty Ltd a Melbourne based firm. 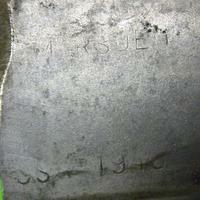 I believe that the manufacturer of the machetes marked MP was Marsden Products Pty Ltd of Sydney. Because of the distinct similarities between the two machetes I believe that production of both occurred in the same factory. Die Casters were precision moulding specialists and because of this some researchers doubt that they are responsible for the DC marked machetes. 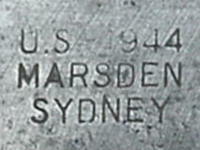 I have recently been made aware that Marsden Products were a Division of Lysaght Works Ltd. Did Lysaght manufacture the machetes for both Marsden and Die Casters at their Port Kembla factory? During WW2 Australia makers produced a distinctive long machete for the Australian Forces. This machete was completely different to the previous bolo machetes. The machete has a 19 inch (43 cm) blade and a simple wooden handle. Whittingslowe Engineering in Adelaide produced this distinctive long machete for the Australian Forces during WW2. It is marked WHITTINGSLOWE ADELAIDE over D/I\D. I have no information on the sheath that would have accompanied this machete. The machete was issued with a very robust leather scabbard. 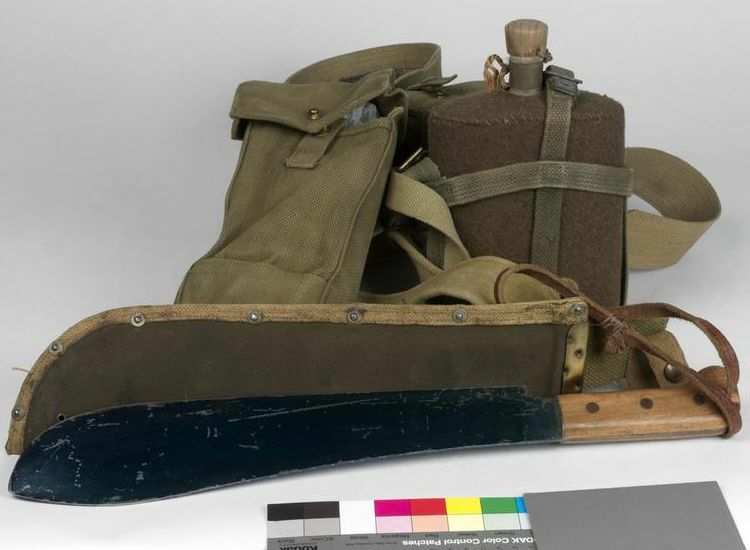 A survival machete for issue to air crews was manufactured in Australia during World War 2. These machetes' were issued to USAAF as well as Australian air crews. Not all examples carry makers marks. These machetes are found in two basic versions. One has Aluminium grips, the other has wooden grips. This Air Crew Survival Machete was issued to Flight Lieutenant David Jones while serving with 100 Squadron RAAF in New Guinea in 1945. It is by Scott Trojan. 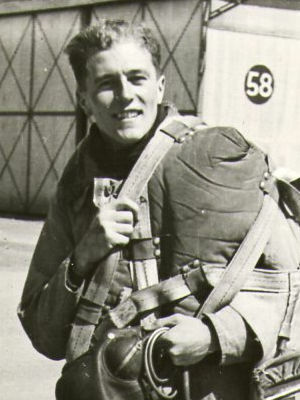 Flt Lt Jones enlisted in the RAAF in 1940. He underwent his initial training at Point Cook in Victoria. On completion he was posted to Point Cook as an Instructor. After 3 years as an Instructor he was posted to 100 Sqn RAAF in New Guinea where he flew Beaufort Bombers on bombing missions against the Japanese. On 15 August 1945, Flt Lt Jones and crew were returning from a bombing mission when informed over the radio that the war was over. This meant that their mission was the last one for their Squadron and one of the last missions of the war against the Japanese. The machete featured was part of his flying kit and was being worn by him at that time. On 13 September 1945, Flt Lt Jones and members of 100 Sqn were part of the guard at the ceremony for the surrender of the Japanese Forces in New Guinea at the airstrip at Cape Wom, Wewak, New Guinea where Lieutenant-General Hatazo Adachi, Commander 18 Japanese Army in New Guinea, formally surrendered to Major-General H.C.H. Robertson, General Officer Commanding 6 Division. The machete is now on display in an RSL sub branch museum. 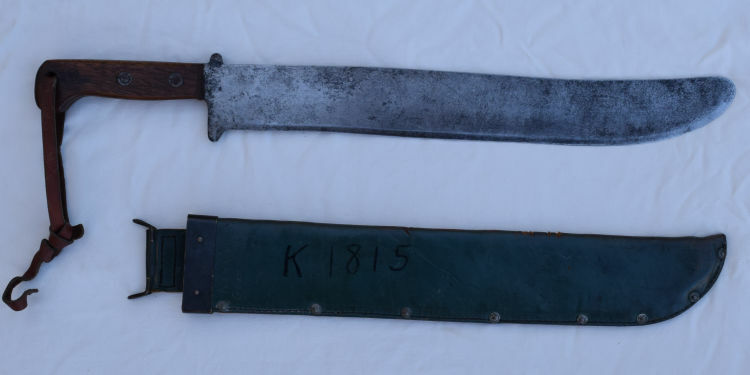 These Machetes' were still being held in Australian stores up until the late 1960's. I have heard from one Australian Infantry Soldier who, while he was deployed to Vietnam in the late 1960's was issued one from the Q store by the staff who had a supply of them. Feeling it was a pretty useless piece of kit for infantry use, he just left it with his gear. 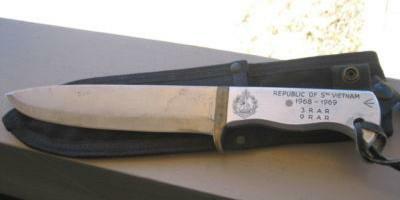 On his return to Australia he had a knifemaker convert it in to a knife as a souvenir of his deployment. 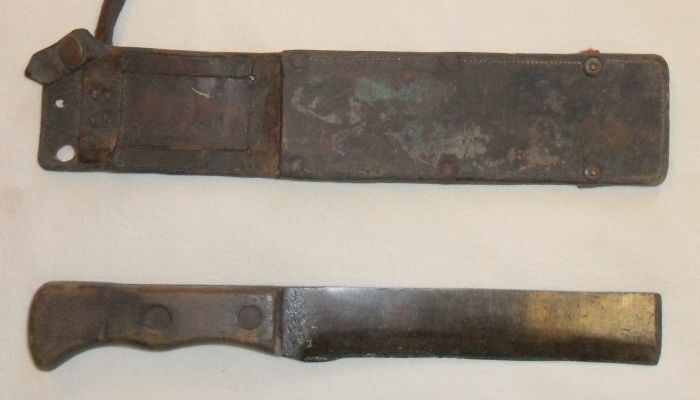 The British Bolo machete was issued to Australian Forces during WW2. I have no information on the scale of issue. So far I only have evidence of one brand being issued to Australian troops, that by Joseph Beal and Sons but it is likely that there were others. This pattern machete was manufactured in Australia during WW2 for US forces. It most likely saw service with Australian troops as well. Both leather and canvas sheaths have been noted with these machetes. Machetes have been found marked both 44 and 45. This machete appears to be based on the M1942 pattern and was manufactured in Australia during WW2 for US forces. It may have been used as an Air Crew machete and it may have been more convenient for use in heavy jungle. Any information on this machete would be appreciated. The only example I am aware of is by Marsden.